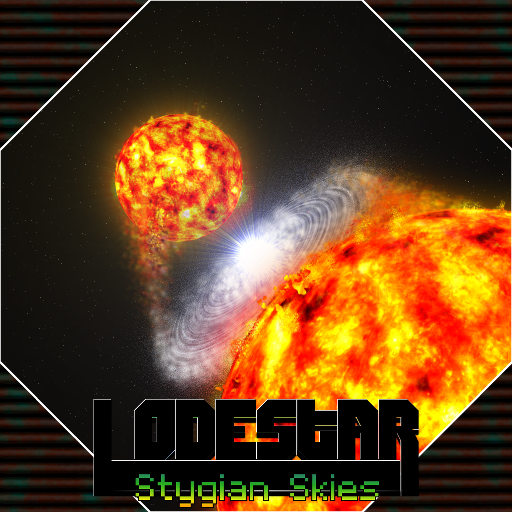 My new game, Lodestar: Stygian Skies. There is no playable demo yet, just stills and videos. The game is still very much pre-alpha. 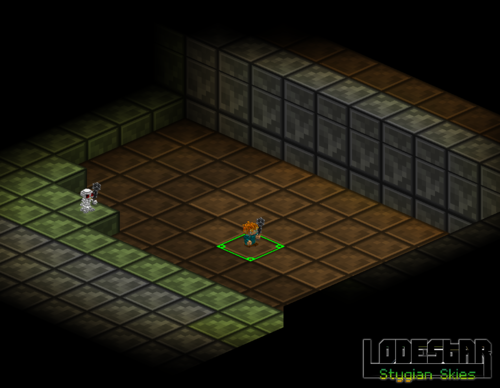 A: Lodestar is a 3D, plot-driven, tactical turn-based combat / exploration game with many procedural and random elements. The game is currently in development. A: Lodestar is being developed on Linux and Windows, with the intention of immediate support for Linux, Windows, and Mac. 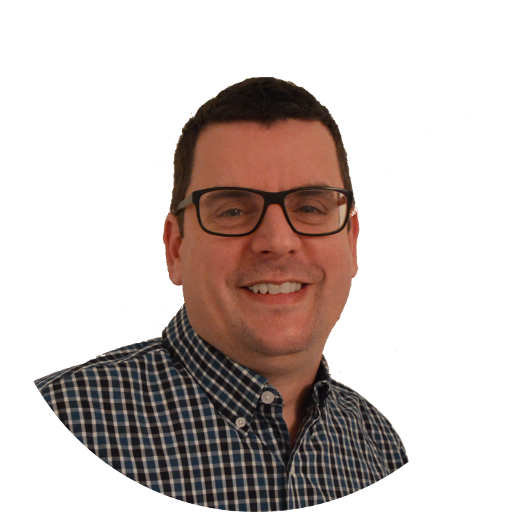 Q: So, something that I haven’t found is a description of what Lodestar is all about … space and something, but what type of game is it, what makes it different than other games out there? What makes it fun? A: At this point I have many of the major decisions about gameplay laid out, however I am reluctant to commit due to the potential limitations of the engine, my time, and my funding. Space… yes, the game has much to do with space, but just as much to do with the planet’s surface. The scope of the story mixes genres, blending elements from the American Western, science-fiction, D&D/Tolkien style fantasy, horror/suspense, and steampunk. My idea is to make several games, each a segment of the story, like chapters. I will use the same engine and improve it along the way. The series will read like a book in plot, and play like a mostly procedural tactical dungeon runner. Also, at some point, I’d love to include the map and sprite tools I’m creating for the developer version. *edit: 03-09-2012 Changed the picture of this post to reflect recent changes. *edit: 05-15-2012 Changed the picture of this post. Those pixel graphics look amazing!! Can't wait to play it! Have you developed your own engine and voxel-editor? Lovely - I like the rotating isometric projection a lot, haven't really seen that in other games. @ra4king thanks! I grew up with pixels! Back when you could see each one... I like large pixels because it evokes more of my imagination to complete the scene. @BenniBanni yes and yes The engine could use some TLC, but I'm only doing what is necessary at this point to make the game. The voxel editor was a spinoff of the map editor. I originally opted to use 2d sprites... but quickly found out that I don't have the skill or speed necessary for spriting... and the sprites clashed with the 3d-ness of everything else around it. @princec thanks! It originally started as a PHP based square tile thing, then as a 2d isometric briefly in my head, then as a MySQL backed node.js/webgl thing with 3d perspective, now finally landed on 3d orthographic or isometric or whatever in Java! awww look at the trees, they're so cute!! This looks GREAT - I love the exploration aspect of the world. Multiplayer? @Preston Haha unlimited I wish!! @Nyhm Definitely multiplayer. I'm open to suggestions on how it will work. I have an idea, but it isn't final. Some of this is re-iteration of the original post, but I believe it helps clarify my vision. You will rescue or find NPC's while exploring and on quests. NPC's will be randomly generated and soft-capped to a level appropriate for the area that you are in. You can recruit the NPC's to join your 'camp/town', of which you can only have so many, say 12. The NPC's will then build something in your camp and offer you their services (ie. blacksmithing, leather, engineering...). Your adventuring party will consist of at most 6 characters: up to 2 plot controlled characters and 4 player controlled (1). While in explore mode the character you control will have a collection of abilities, from the characters in your party, that allow special actions on the map. For example having a thief in your party would allow you to sneak, an alchemist - gather herbs, blacksmith - ore veins.. you get the idea. As soon as a wandering mob detects the exploring character, an encounter begins. Your entire party will unfold from the main 'walker' and occupy adjacent squares in a predefined pattern set by the player. The mob will do the same, revealing the enemies to fight. Turn based tactical combat ensues. My idea for multiplayer involves 2 - 4 people connecting to one computer and working together to gather resources for the camp, participate in random quests, explore dungeons and caves, expand exploration, and advance the plot if desired. Tentatively: one player will control the exploration (switchable) and control will be randomly assigned or deliberately selected for the turn based combat. Players will also be able to go head to head on random maps or maps created in the map editor, which reside on the host machine. I'd love to hear ideas on multiplayer. Also, just to be clear, the exploration mode maps are a variable, yet finite size (ie. Final Fantasy Tactics) and not endlessly procedural (ie. you know). This was a design decision ( ), as it allows for a nicer representation of caves and the like within the confines of the isometric angle. 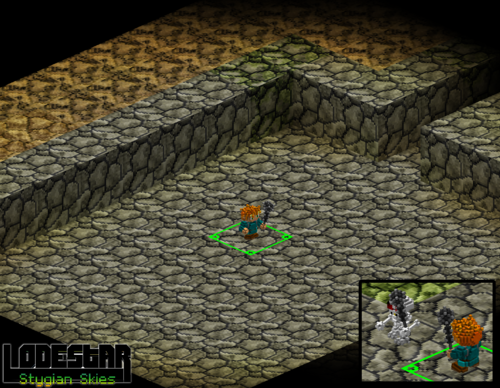 When the player reaches the edge of the map, a button may be pressed to leave and return to the 'overworld' map, a 2d FFT-like with nodes, albeit randomly produced. I think a plot based, randomly generated type would allow for some replay value. I want to go a little further however: I have already built the map and voxel/3d-sprite editor right into the game and plan to allow major game modification through the use of XML. This would allow the player to make their own story, with original art, 3d sprites, items, npc's, plot characters etc..
(1) EDIT: To be clear your party is chosen from the available pool of NPC's rescued and in your camp. Only characters in the adventuring party will gain XP, those left behind, a percentage of said XP. Yeah yeah yeah the game looks sweet but for love of All That Is Holy: "Stygian Skies" ?? How can the sky be "Stygian"? A cave, yes. Especially one with a river. Dark and gloomy would help. But the SKY??? Your game is beautiful but the name makes my teeth hurt. In the distant future, humans discovered the means for traveling faster than the speed of light. During the first unmanned test flight, things went horribly awry and our people inadvertently solicited the attention of an ancient planar race of world-enders. The unwanted attention threw us headfirst into a war across planes, and even faster into an adrenaline spiraling, fear-drunk, crowd-panic grapple for survival. Our only hope was to beg aid from the enemy of our enemy, those already opposing the world-enders. In order to save the human race, the remaining people were herded on-board terraforming vessels built using borrowed technology and unsure hands. The borrowed tech enabled survivors to escape with their lives, and whatever fragments of our home their desperate trembling, hands could clutch. Earth was done. The technology was too foreign, however, and became subject to disrepair and failure. Soon, the equipment failed outright and the rag-tag fleet began to drift. Maybe through planes, maybe not. We really don't know. Some vessels lost heat and succumbed to the frigid paralysis of space. Some slipped the border of madness. Some became infected, mutated and viral. Others, drifted silently into the deep black, or piloted their doomed captive crew into small asteroids in a feverish search of utopia. Some survived, and even prospered. This is the story of a lineage traced back to one such ship. The Sisyphus. During the great escape, a man of intellectual pursuit, thought to, amid all the life-threatening chaos, transfer the databases of the Global Works Initiative. See, a hundred years before, an initiative was started to archive information, specifically ideas and art, as ideas and art were seen as a kind of currency in Earths global marketplace at that time. This man risked his life to save our culture... or get rich. Unfortunately, during the escape from Earth and the subsequent equipment failure throughout the journey, the majority of the database was destroyed. The only remaining data was a cluster of disjointed literature on Greek mythology, a thesis on Boophis mating, and the recipe for pop rocks. The Sisyphus got her name from that fractured pile of Greek myth. Rightly so, too, as the Sisyphus began to represent the unfortunate kings boulder from the stories. Fix it just to have it fail days later. Fix it again just to have it roll back down the hill. Over and over, on and on. Forever. It could have been much worse, however, as there was strong contention for the name Boophis. Many generations came and passed while we drifted, repaired, and lived on board the Sisyphus. Exactly how many, we don't know. Some estimate fifty or a hundred. Some even more. During that time the people on board came to regard the vast open black of space as the River Styx, again pulling from the only source of literature and ideas they had. Some groups actually began to believe they were on a journey to the underworld. The Sisyphus did eventually reach the other side of the river and come to rest on a distant planet. That is another story entirely. The survivors of that fated ship still refer to the sky, to where they came from, as the Stygian or Stygian sky. In addition, the planets sun is in perpetual eclipse by (removed spoiler), casting the surface into a constant, murky darkness. The majority of the first game takes place in the dark. The basic square room dungeon type is fairly well finished. I shaded the walls a little differently to help separate between floor and wall. Also, messing around with a new art style for the terrain. What do you think? In the first picture, I'd make floor and walls more different, although you can tell they are diferent, they look just the same. In the second one, I like what I see so far! This looks amazing! Keep going! I've been working on the game art lately and think I've finalized a style. Also added a simple random name generator for area names, npcs, etc. More importantly, I'm experimenting with perspective, as you can see above. I am very fond of the isometric style I was using, however I feel that the perspective style increases the player immersion level. I'm leaning heavily toward the perspective style, but I would love to hear what you think! It's looking really good! I also prefer the perspective style but isometric isn't that bad either! Great job with the game!! The isometric looks good for the zoomed out maps overland, but the perspective looks much better when closer up, plus it makes the rotation look more natural. I'd say go with perspective. You have made an old pedant very happy. Regarding the perspective vs iso look , I prefer the perspective. Regarding that footage on youtube: fading the light level changes would make that look a bit smoother as you walk. Particles! The particle origin in this video doesn't follow the unit precisely as it snaps to the grid. That's been fixed, however, and the particle origin now smoothly follows the models position. I didn't feel like making another video just for that though. @kaffiene Yeah, the lighting is choppy as it's based on a grid.. I've been trying to think of ways to improve that. Screen-shots vids and even story (that I normally don't care much for) is very impressive. 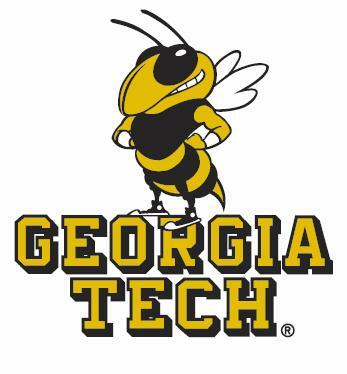 I hope you have the energy to take it from a good idea to a great game. It has the potential. It will be interesting to see how the turn based battles will play out. I would love to see a better lighting system, since the outside light seems awkward to me, very dark (to plain black) and suddenly a clear bright light? Is that at night? What about a less plain dark view and less bright lit areas? What about make those lit areas a bit light blue to give the feeling of being at night? The Lodestar: Stygian Skies fund raising campaign on Kickstarter went live today. Backer rewards include a copy of the final game, beta access, alpha access, source code access, soundtrack access, a PDF and printed lore book, NPC design, quest design, mob design, a hand-made planet from the Kol’estri system, and a unique, hand-modeled Astraean Xenodrone! Go check it out and help back this project on Kickstarter! Even if you can’t contribute money to this project, you can still help by spreading the word. Thanks for your support. For more information, visit the Official Website, Twitter, or Facebook; links can be found in the initial post. Hi ! The kickstarter was unsuccessful but you by ANY means should NOT be upset, you MUST keep it up, we NEED YOU. Please keep working on this, start a new kickstarter, release a short demo with a 100x100 field to just WALK around and get to see how it looks and feels.